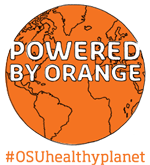 The number of applicants to the OSU College of Veterinary Medicine rose again this year, but only by 17. The total number of applicants was 970, with 749 female and 147 male. 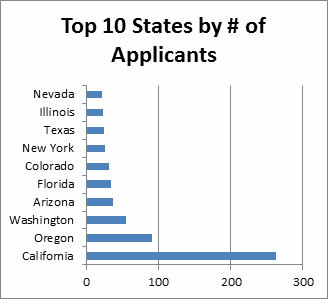 There were 91 Oregon applicants, with California leading the number of out-of-state contenders (see chart). As a group, the applicants have an impressive amount of experience with animals: An average of 2548 hours of veterinary experience and 3434 hours of experience working with animals.